Today, thanks to the patience of some local SOTA chasers, I was able to qualify two SOTA summits on CW. 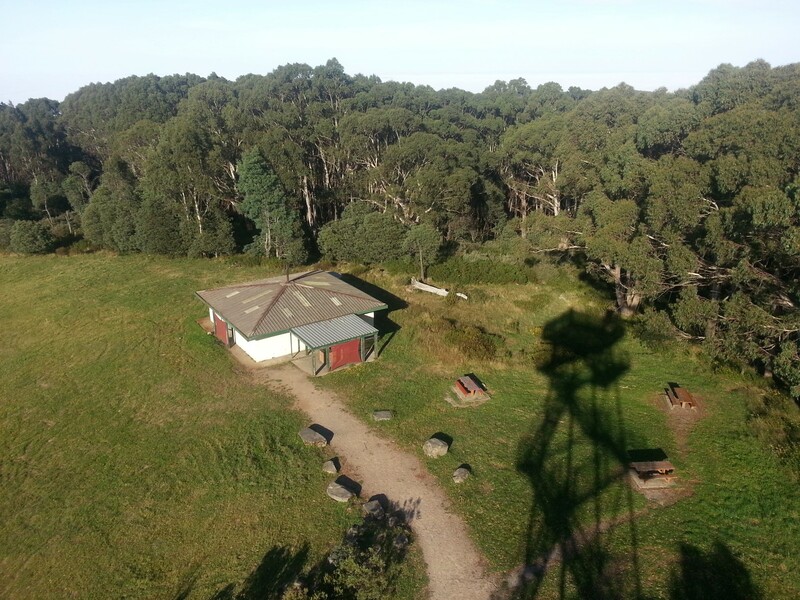 At Mt Donna Buang – VK3/VC-002, I made four CW QSOs with VK4HA, VK2IO, VK3CAT and VK3BYD. I was operating from the comfort of a picnic table. At Mt Little Joe – VK3/VC-027, I made seven CW QSOs with VK2AOH, VK3BYD, VK2IO, VK2YW, VK7CW, VK3AFW and VK3MEG. I was operating from a big log with the FT817 and paddle sitting beside me. Thanks to those who kindly slowed down and resent multiple times when asked and to Steve ZL2KE for his effort in teaching me Morse Code over the past 8 weeks. I highly recommend CW Academy for those wishing to learn CW. This entry was posted in Amateur Radio, CW, SOTA. Bookmark the permalink. Congratulations. Sorry I missed you.